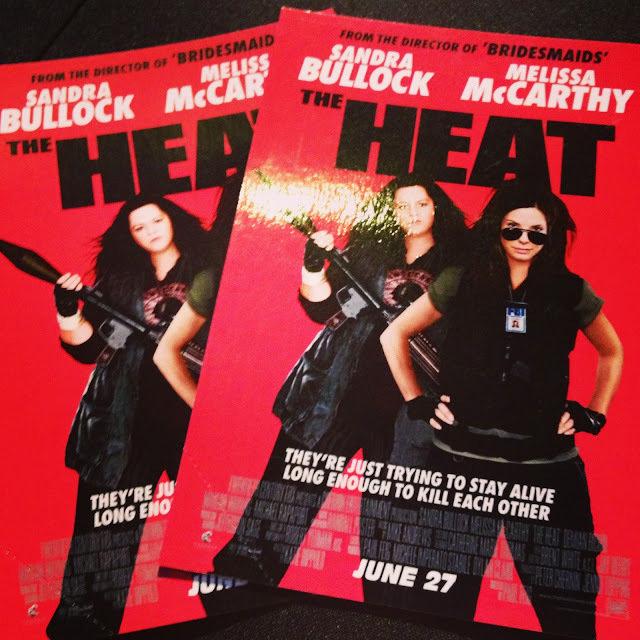 20th Century Fox and Warner Brothers held a press screening for the movie "The Heat" last June 24, 2013 at Glorietta 4 Cinemas. "The Heat" is an crime-action and comedy movie directed by Paul Feig starring Sandra Bullock and Melissa McCarthy. One will laugh all throughout the movie because of the funny scenes and the chemistry that both actresses have. Academy Award winner Sandra Bullock stars in “The Heat” and tries on improv comedy for the first time under director Paul Feig. Bullock stars as Sarah Ashburn, an FBI agent hoping for a promotion and high-tails it from her home base in New York City to Boston, to help solve the mystery behind several murders. Standing in Ashburn’s way is a hard-hitting Boston police officer, Shannon Mullins played by Melissa McCarthy, who’s not happy that the FBI – especially the stuck-up Ashburn -- is treading on her turf. Ashburn is determined to wrestle the case away from Mullins, but the disheveled, foul-mouthed, in-your-face cop is a formidable adversary. They’ll soon discover they have more in common than they ever thought possible, including their misfit status and complementary skillsets. The improvisational nature fueled the fun and on- and off-screen bonding. “It is great working with Melissa,” enthuses Bullock. “She comes through the door and improv is the way that she does things. Then we had a director who comes from that world too and nearly everyone in the cast was also from that world. The world of comedy that I had been familiar with was always very controlled. There was the script and you had to go through 27 people and the studio before you could change a line. I always wanted to do this kind of comedy that we have in THE HEAT (which I have done in real life, sort of free form,) but I was never really allowed to experience what it was like before on a film. “Melissa has great moves,” says Bullock,”discussing McCarthy’s comedic skills. “When I saw her dance, I knew we were going to be fast friends.We did the dancing with no practice whatsoever,” she continues. So far, The Heat fares as one of those few movies that feature both female lead, taking on a man's job and struggling to fit in. The movie also touches on topics like family values and friendship while incorporating a satirical type of humor. One can guarantee to have a good laugh while watching the movie. “The Heat” opens June 27 in theaters from 20th Century Fox to be distributed by Warner Bros.